I‘m in a Hyde Park Starbucks, hunched over the laptop of game developer Rob Lockhart, trying hard to read the world as computer code. On the screen is a bird’s-eye map of rocky grassland carved up into a hexagonal grid. On one of the grid’s tiles, a pointy-haired wizard sits patiently atop her oversize magical lizard. This is Lockhart’s Codemancer, an educational video game that teaches programming skills by presenting them as magic. 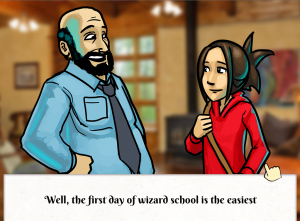 Codemancer proudly proclaims itself an “edugame,” and works to teach a specific, recognizable topic. It’s a product of Chicago’s growing independent game-making movement, and belongs to a vanguard of titles attempting reclaim edugaming’s misunderstood role in the industry at large. Lockhart tutors me from across the table. “You have to chain a few things to get to this target,” he says. “You have to think from her perspective.” He gestures to a panel on the right side of the screen. In it are recessed tiles, each with etched symbols: one to move the wizard and her mount forward, one to turn them left, one to turn them right. She won’t move with the standard WASD keys; I have to drag and drop these tiles and sequence them into a command for her mount. Lockhart claims that the game’s magical runes are all roughly one-to-one with the commands of a programming language like Python. To transition to a real programming language, players would just have to substitute his symbols for letters, numbers, and other characters. “If we can teach you how to play this game, and this game is about programming, then we’ve taught you how to program, essentially,” he says. Practically every action in the game’s world is governed by special runic configurations. To encourage elaborate spell casting, Lockhart incorporates magic-canceling areas, and intends to provide imperfect information about the game’s world. Players will have to write longer spells to carry them through zones where they can’t cast; “if-then” conditionals will help them when ambushed by enemies. I want to land on a wooden bull’s-eye, obstructed by several boulders. My on-screen wizarding instructor reminds me that I need to make the move in one spell, with one pattern. I don’t want to flunk. I’m hesitant to cast the spell. The more Lockhart worked, the more he was convinced that games were the right way to go. “I think it would be a good life goal to make a small contribution toward a world in which there are so many educational games, in every topic, at every level, that a player can basically self-select their way through an entire education if they’re so inclined,” he says. Hard-hitting, decisive moments remain a hallmark of role-playing video games. 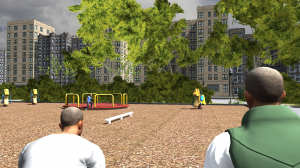 The challenges posed by We Are Chicago, an upcoming adventure game set in Englewood, aims to match those realm-saving choices, blow for blow. Not knowing how to respond at the dinner table when gunshots ring out in the distance. Not knowing who to side with when mom commands you to steer clear of a well-meaning but law-defying friend. Not knowing what to tell gang members when they argue that you belong to the neighborhood and have an almost patriotic duty to defend it. Each choice demands its own measure of everyday heroism. We Are Chicago, places players in the shoes of Aaron, a teenager about to graduate from an Englewood high school. With only two or three months of work left to go, We Are Chicago hopes to provide what newspapers, broadcasters, and documentaries properly can’t: a first-person perspective of life on the South Side. Block has teamed up with Tony Thornton, a writer and long-time Englewood resident, to try to do the topic justice. They both freely admit they’re an odd couple. Block is twenty-six and from Wisconsin. Thornton is fifty-nine and can remember what the neighborhood was like in the seventies, when he says gangs stopped brawling and started shooting. 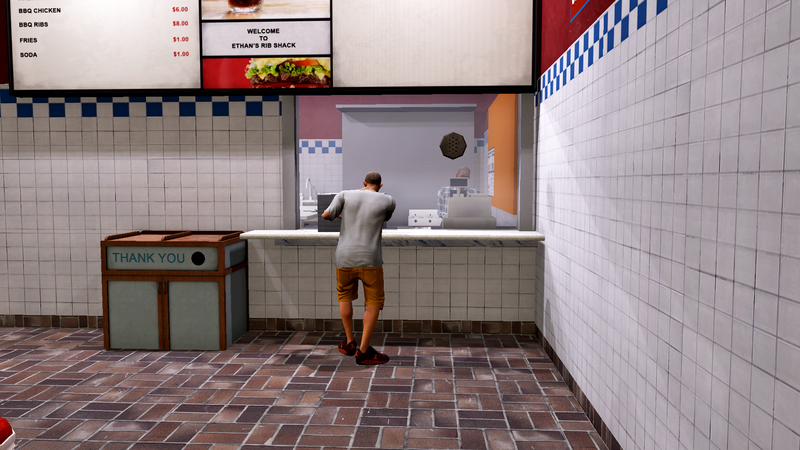 The two artists are bent on using interactivity to reproduce the experience of daily life in a hard place. Block says he’s drawing on the storytelling model established by The Walking Dead, a video game series developed by Telltale Games where players wander the zombie apocalypse, participating in the survivors’ dramas and travails. In We Are Chicago, players have the freedom to explore a meticulously rendered Englewood at will. But the game still remains narrative-driven and tightly curated. Aaron has to navigate a web of relationships—balancing friends, his mother, a younger sister, and a pack of relatives. The goal is to preserve those bonds until he reaches graduation. Block and Thornton are out to say that in many places on the South Side, succeeding socially is often easier said than done. 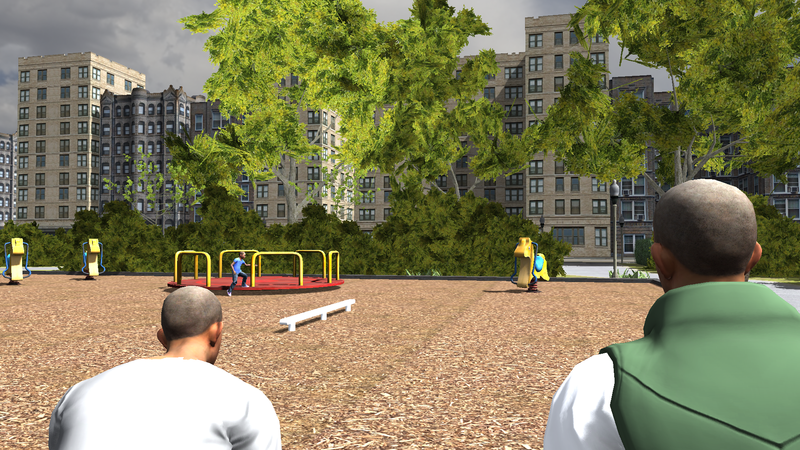 Minigames will set the mood for certain sections of We Are Chicago. “The goal that we have with minigames,” says Block, “is to get people to feel what the character would feel in that situation.” Block cites recent indie release Cart Life for these mechanics. He explains with the example of a cash-register minigame. If the character is performing monotonous money changing, players should also be performing a similarly demanding but boring task in-game. The relationship needn’t be strictly one-to-one, but should approximate the task’s oppressiveness. Accuracy became more important as Thornton realized that We Are Chicago wasn’t just for people “outside of the experience.” He now believes he has to meet the scrutiny of Englewood itself. He uses the example of writing a word on your hand and holding it so close to your face that you can’t read it; We Are Chicago could provide necessary perspective. I ask Rob Lockhart if he thinks that Block’s We Are Chicago qualifies as an edugame. 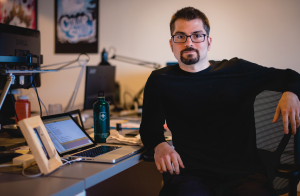 He calls it a “persuasive game,” a concept first proposed by Ian Bogost, a professor and game critic. Lockhart describes We Are Chicago in the terms of its procedural rhetoric: the messages that developers communicate through the types of play they leverage. Because Codemancer, despite making the demands of a challenging computer science class, needs to win itself an audience, it has to also be enjoyable, and offer fun opportunities for play. We Are Chicago can ironically disrupt that preconception and force players to ask, in Lockhart’s words, “This is not fun—why is this not fun?” He believes that introducing the unpleasant into a game environment can be powerful. Although We Are Chicago lacks panels of interlocking code tiles, it still aims to teach players about a system—a site-specific package of social norms and frustrating conditions that the nightly news can’t fully capture. Games can approximate experience, in the way that the practice of magic in Codemancer provides an analogy to Python. “But it’s just not always possible, and it’s not easy,” he says. At the end of the day, Block believes that there’s nothing you can read or watch that can do the same vital work as video games. We Are Chicago intends to teach an ambitious crash course in the messy games people play—not because they want to, but because they have to: with parts of their community, their employers, even their loved ones. I put the same question to Block and Thornton: Do they think of their project as an educational game? Block feels that edugames carry too much of a particular stereotype for him. He shifts his weight and thinks. Hello, Stephen. In spite of waiting, rather impatiently, I might add, for the publication of this very interview, I somehow missed your notification amongst the myriad emails peddling an array of things I didn’t know I couldn’t live without. I was pleasantly surprised, after all this time, to stumble upon your email informing me of your post. I am so thoroughly impressed with your skills as an interviewer and writer, that I pledge to make this site a permanent address for my weekly visitations online. Thank you for your incisive, insightful reportage and I hope our paths cross, again. I remain, faithfully yours, Tony Thornton.